Sorrento is well known for its charming café-filled squares, cobbled alleyways and stunning vistas. Our range of 4 and 5 star luxury hotels in Sorrento perch upon clifftops overlooking the magnificent Bay of Naples and Mount Vesuvius. 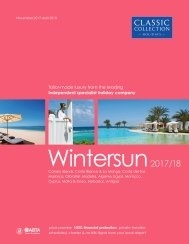 From family run boutiques to impressive historical villas, hotels in Sorrento provide undeniable luxury. With a train station within easy reach, Sorrento is also perfect for two-centre holidays. 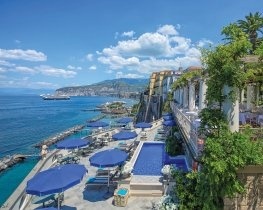 5-star Grand Hotel La Favorita is ideally located just a short walk from the many shops & restaurants of Sorrento’s Piazza Tasso. 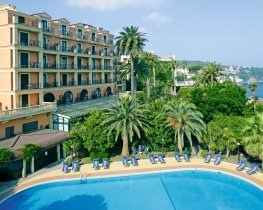 The hotels romantic atmosphere and stunning rooftop pool make it ideal for a relaxed stay in Sorrento. Originally built in 1750 the Hotel Bellevue Syrene was converted in to a hotel in the 1820’s. Its stunning cliff top location, boutique hotel atmosphere and high-quality facilities have earned it the accolade of one of the best hotels in Sorrento by TripAdvisor. 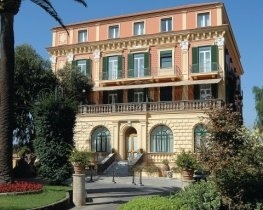 To book your luxury Sorrento hotel call us on 0800 294 9322 to speak to our Specialist Italy team. The beautifully decorated Hotel Bellevue Syrene enjoys a five star rating and is located in the centre of Sorrento with its many museums, shops, cafes and bars.